You have already selected the perfect partner, the perfect dress, the perfect venue, and the perfect date so why settle for anything less than a perfect hairstyle for your big day? 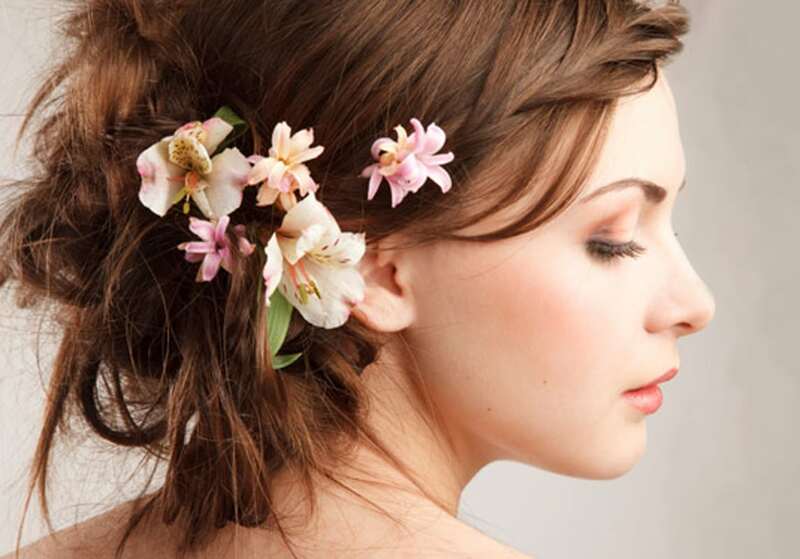 Rapunzel’s wedding hair stylists are some of the most talented artists in the Philadelphia area, we want you to look and feel your best at your wedding. Our stylists have helped hundreds of brides look and feel their best and have helped create memorable looks and styles for many brides and weddings throughout Philadelphia, looks that compliment so that you can look polished and perfect both in person and in your wedding day portraits. Selecting your makeup artist and hairstylist maybe one of the most important decisions you’ll make leading up to your walk down the aisle. The portraits that are taken on your special day will be cherished forever so finding a wedding hair stylist to help create the best hair and make-up look for you is crucial. Our team is committed to making you look your best so that when you walk into the room all eyes will be on you! We offer complete bridal service packages for the bride and her wedding party. In order to accommodate your needs for this very special day, we suggest you begin planning several months before your wedding day and photography session. Our wedding hair stylists are available for both onsite and offsite services with advanced scheduling. Bring to us any ideas that you have for your bridal hair or wedding makeup and we will help you design the look that you desire. We will work with them, the wedding theme, and style of your dress to create your best wedding day hairstyle.